Many craft brewers are starting to brew lagers now, accepting that the longer fermentation times are worthwhile to add diversity to the styles of beer they can make. Budweiser apparently missed this fact when they made their Super Bowl ad, which seemed to assume that all craft beer was ale (amongst many other untrue assumptions). It’s no surprise that one of the most popular types of American lagers are beers brewed with large doses of aromatic and flavorful hops. Called India pale lagers or just hoppy lagers, these beers are a truly American creation. When done correctly the clean fermentation leads to a crisp and refreshing beer that highlights the pungent aromas and diverse flavor profiles of the selected hop varieties. 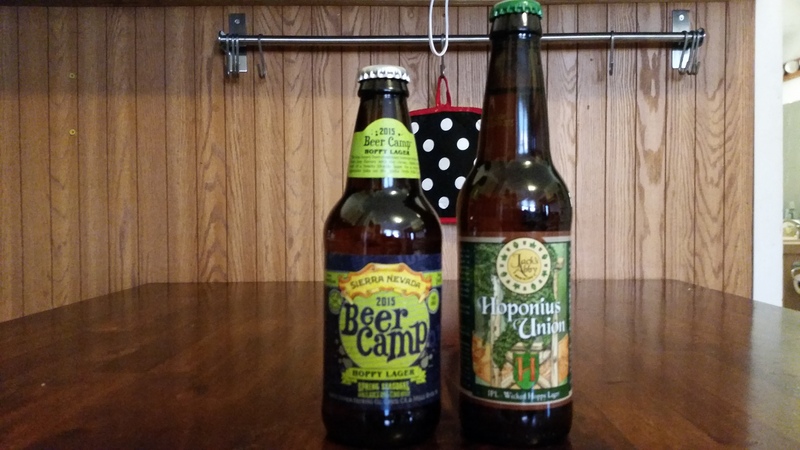 The Competitors: Beer Camp Hoppy Lager, the new spring seasonal from national powerhouse Sierra Nevada and Hoponius Union, one of the flagship lagers from local stalwart Jack’s Abby Brewing. Sierra Nevada celebrated their touring Beer Camp festival series this summer with a 12 pack of collaboration beers they brewed with brewers from all over the country. One of these beers was a hop-forward lager they brewed with Ballast Point. For their new spring release Sierra Nevada tweaked this recipe for a slightly different take on the hoppy lager style. Jack’s Abby has been a lager-only brewery from the beginning, but they frequently venture outside the boundaries of traditional European lager styles. Hoponius Union is one of their most well known and popular beers, hoppy enough for any IPA fan but with a clean profile due to the cold fermentation with lager yeast. I thought it would be fun to compare the new offering from one of the most popular national breweries to a local favorite in this head-to-head review. 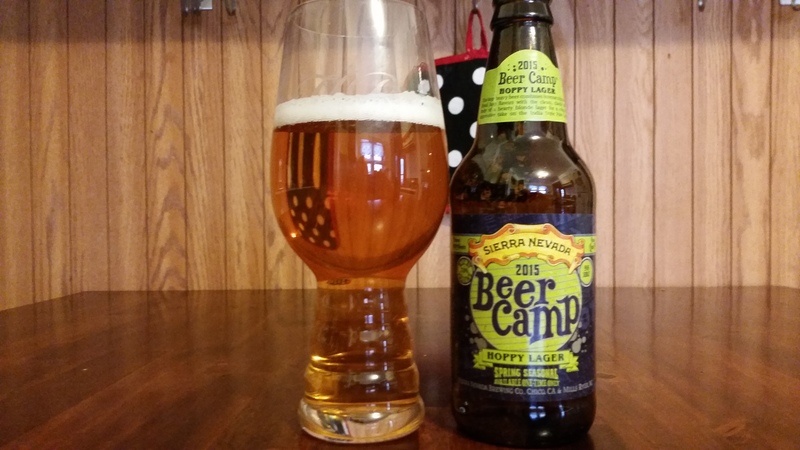 Sierra Nevada Beer Camp Hoppy Lager pours straw yellow with a moderate white head, and the scent packs a solid punch of floral and dank hops. The hops lead the flavor, notes of grass, pine and lemon. This is balanced by some mild malts that offset the subtle bitter punch. The beer is clearly a lager, crisp and clean with a very smooth finish. Overall this is a really good beer, tons of hop flavor and aroma in a easy to drink lager. Jack’s Abby Hoponius Union pours slightly darker, a more full orange, with a mild with head. The first thing you notice about this beer is the huge burst of hops in the aroma, floral with a hit of citrus fruit. The flavor is also hop forward but a little more fruity, touches of grapefruit, mango, tangerine and resin. There is some malt balance here, but this beer is clearly a vehicle to highlight the hops. 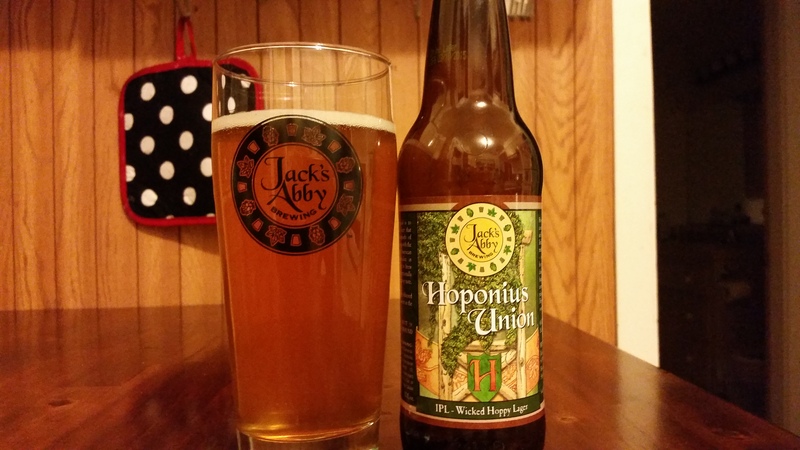 The bitterness in Hoponius Union is a little stronger than Beer Camp, much closer to IPA level. While it has many of the characteristics of a well-made IPA, this is also clearly a lager, there are no yeasty esters involved and the finish is pristine. Jack’s Abby are truly masters of lager beer, and this is one of my personal favorites amongst their selections. The Verdict: Despite making some of the best beers in the country, Sierra Nevada can get overlooked by beer geeks because they don’t have many hard to find “unicorn beers”. 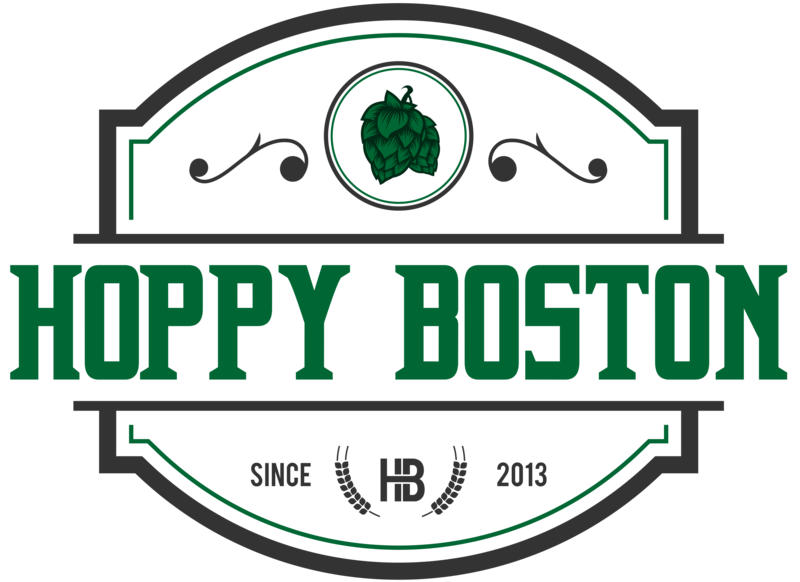 The thing they excel at is consistency, and Beer Camp Hoppy Lager fits seamlessly into their portfolio of well crafted and delicious selections. As much as I liked this beer, it wasn’t quite as good as Hoponius Union, one of my favorite local beers regardless of style. I’ll give Jack’s Abby the win, but both beers are definitely worth a shot.